Start off your visit on the 28th (Thu): discover the deep blue sea with a scuba or snorkeling tour. For photos, other places to visit, reviews, and more tourist information, go to the Cairns day trip site . Chennai, India to Cairns is an approximately 13.5-hour flight. You can also do a combination of train and flight. The time zone difference when traveling from Chennai to Cairns is 4 hours. In February, daily temperatures in Cairns can reach 36°C, while at night they dip to 28°C. Wrap up your sightseeing on the 28th (Thu) to allow time to drive to Port Douglas. Kick off your visit on the 1st (Fri): get interesting insight from Tours. Get ready for a full day of sightseeing on the 2nd (Sat): see exotic creatures in open habitats at a safari tour. To see photos, maps, and more tourist information, go to the Port Douglas day trip planning app . Traveling by car from Cairns to Port Douglas takes 1.5 hours. Alternatively, you can take a bus; or take a shuttle. Expect a daytime high around 36°C in February, and nighttime lows around 28°C. Finish up your sightseeing early on the 2nd (Sat) so you can travel to Sydney. 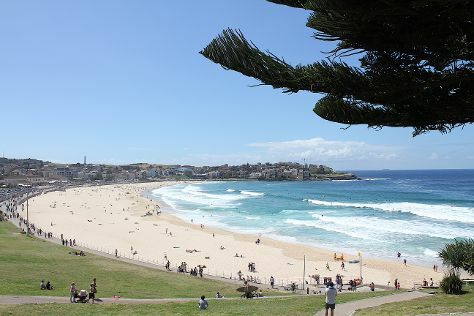 Family-friendly places like Bondi Beach and Sea Life Sydney Aquarium will thrill your kids. There's much more to do: catch a live performance at Sydney Opera House, examine the collection at Australian National Maritime Museum, get to know the fascinating history of The Rocks, and enjoy the sand and surf at Manly Beach. To see maps, reviews, and other tourist information, read Sydney trip builder website . Traveling by combination of shuttle and flight from Port Douglas to Sydney takes 7 hours. Alternatively, you can drive; or do a combination of bus and train. Expect a bit cooler temperatures when traveling from Port Douglas in March; daily highs in Sydney reach 30°C and lows reach 22°C. Wrap up your sightseeing on the 5th (Tue) early enough to travel to Melbourne. On the 6th (Wed), contemplate the long history of Old Melbourne Gaol, then make a trip to Flinders Street Station, then take in panoramic vistas at Eureka Skydeck 88, and finally take in nature's colorful creations at Royal Botanic Gardens. 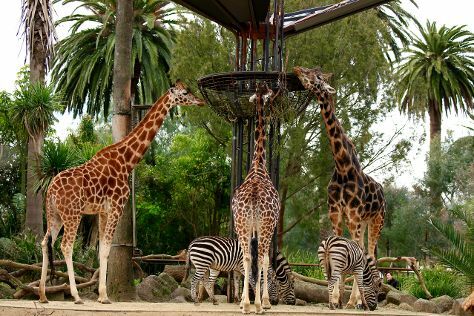 Get ready for a full day of sightseeing on the 7th (Thu): examine the collection at Melbourne Museum, admire nature's wide array of creatures at Melbourne Zoo, and then admire the natural beauty at Fitzroy Gardens. To find other places to visit, photos, ratings, and more tourist information, use the Melbourne journey maker site . Traveling by flight from Sydney to Melbourne takes 3.5 hours. Alternatively, you can do a combination of flight and shuttle; or drive. Traveling from Sydney in March, expect a bit cooler with lows of 15°C in Melbourne. On the 8th (Fri), wrap the sightseeing up by early afternoon so you can travel back home.